Build all your sites and portals in one place, faster than you thought possible. Move to an Enterprise Private Cloud, or On Premise if necessary. Create customer sites and portals for millions of customers that are easy to maintain, improve and grow. Structure the digital factory that makes the most sense for you to win and retain loyal customers. Capture every key transaction in logs that are analyzed dynamically with Modyo Targets and Insights. Audit and keep your digital channels secure by configuring workflows to streamline digital processes and audit code. 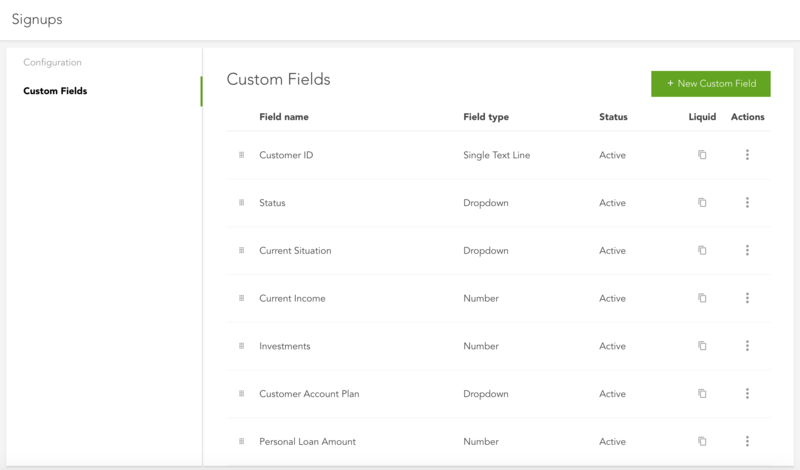 Connect your core systems to Modyo and use APIs to push and pull data that makes your digital channels relevant to customers. Providing single sign-on integration allows customers to transition the context of their interactions, whether in a retail banking site or wealth management site. You can authenticate customers in the platform using OpenID Connect, OAuth 2.0, Google, Facebook, LDAP and more. Protect your customers by authenticating them with your core systems, then let Modyo Channels come to life, personalizing their digital experiences. Manage your digital channels, sites, mobile sites and customer portals in our Cloud. Start today, building fast, and optionally move to your own Enterprise Private Cloud or On Premise. Secure internal indexation and search with Elasticsearch, a search engine with strong JSON-based query support, log processing, monitoring and data analytics tools. Select payment method types to activate or extend payment functionality. Integrate with different payment gateways to make transactions with customers easy to deploy. Create roles with permissions that grant access to key areas of the platform. Then, assign roles to employees across your organization and control access to sensitive platform areas by non-authorized personnel. Capture relevant data related to value-added engagement for both clients and employees. Review these logs with filters ranging from platform-wide activity monitoring, down to individual client actions. Modyo has a RESTful API, allowing in-house developers to both send platform data and consume external data via API calls. 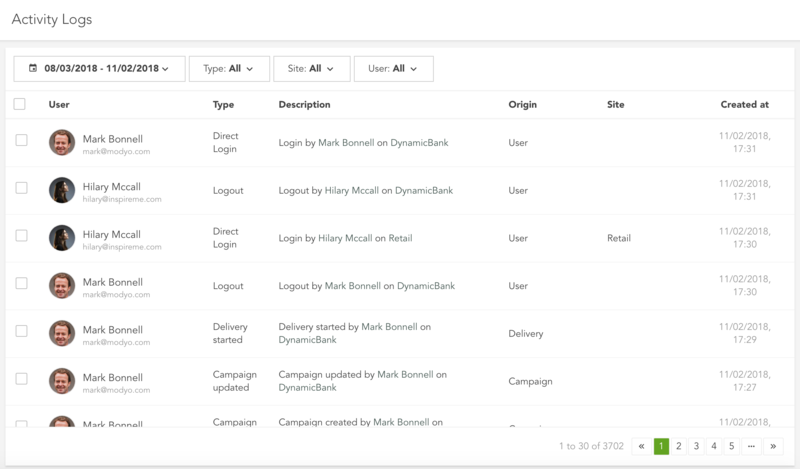 Coupled with webhooks, you can automate events within the Modyo platform to send data to a customized endpoint. Activate enterprise authentication through LDAP and SAML, as well as registration through Google and Facebook. Modyo comes fully integrated with OpenID Connect and OAuth 2.0, enabling authorization flows and limited access to user accounts on HTTP services, as well as supporting the encryption of identity data, and session management. Modyo is a “cloud native” product, with a modern architecture designed for horizontal scalability. With a scalable distribution model in mind, and being born in the cloud, the Modyo platform is distributable through Docker with fast, out-of-the-box, secure setup and installation. Docker wraps Modyo in a complete file system to ensure it always runs, regardless of environment. Leverage world-class Amazon Web Services (AWS) infrastructure for stability and scalable execution. Modyo offers data security, scalability, and lower operational costs when you use the Cloud and Enterprise Private Cloud as the backbone of your digital enterprise. Modyo uses over 10 different Amazon technologies, including Amazon's Elastic Cloud Computing, and Simple Storage Service.